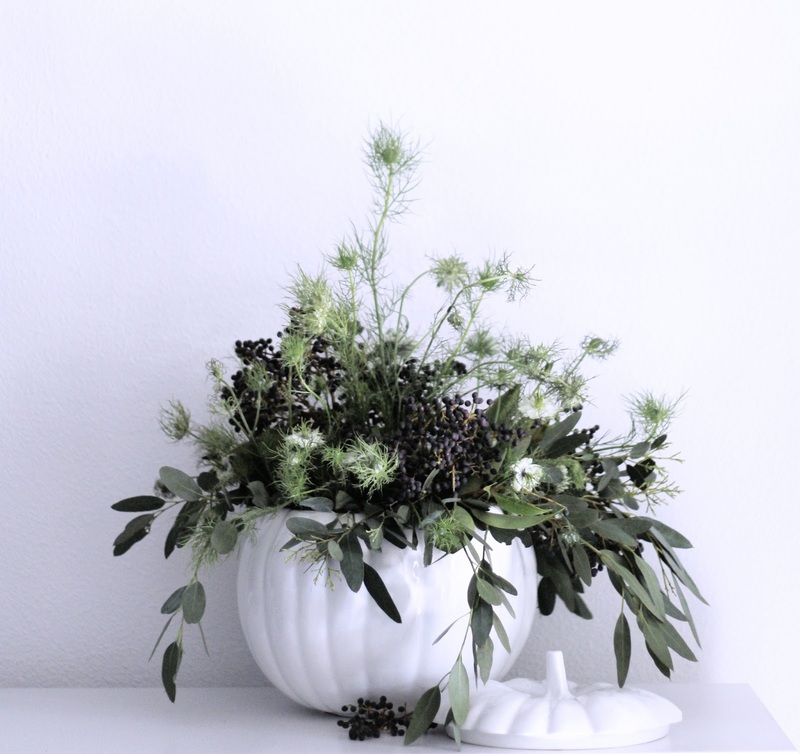 Rather than your standard vase + bouquet combination for a centerpiece, I like to get creative around the holidays. 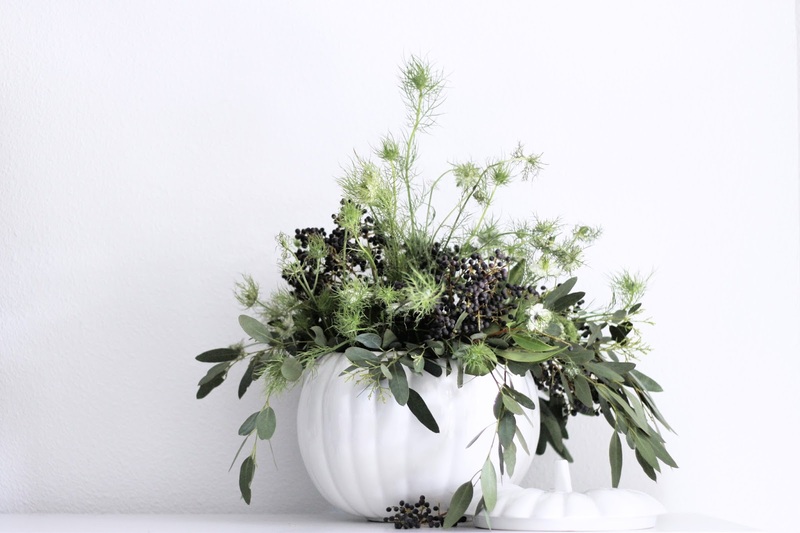 Thanksgiving is the perfect time to leverage the seasonal elements of pumpkins or cornucopias as vessels for your floral arrangements. 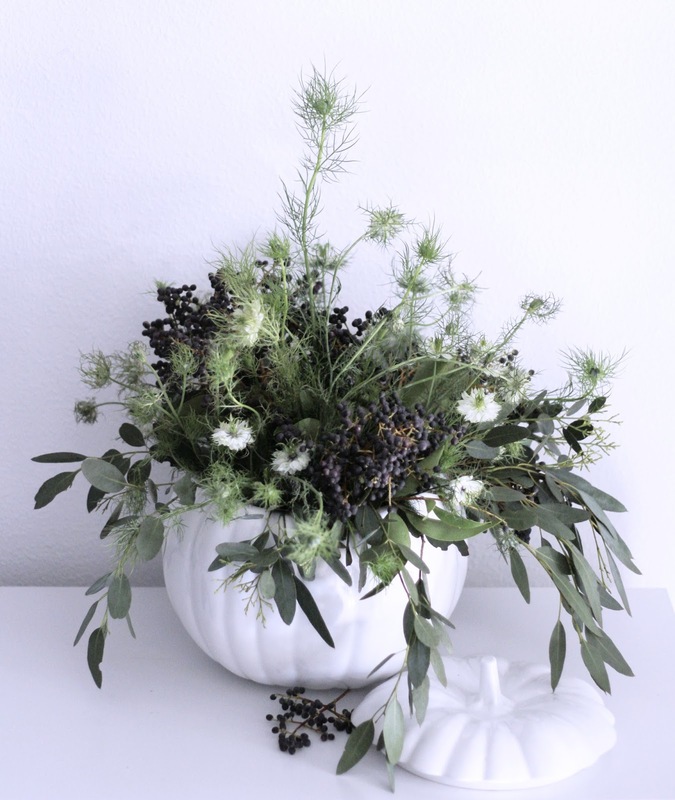 Typically, I hollow out pumpkins and use them as a vase (see similar from Good Housekeeping). However, this Thanksgiving I am using one of my ceramic pumpkins (for soup/casserole) as my vase. 1) Don't be afraid use what you have. Carve a pumpkin out, use a soup bowl, glasses, baskets with a plain vase inside...whatever works! Mix things up. 2) If you don't have a big enough vase group together several small vases or glasses to stretch the illusion. 3) Cut your flowers at a 45 degree angle at varying heights to fit your selected vase. 4) Open buds faster by sticking flowers in warm water followed by cold water. 5) Tape a grid across the top of your vase to support top heavy flowers or greenery. Insert one or two pieces at a time to develop your arrangement. Start with the fillers, then layer in the disks and vertical pieces, before finishing off the bouquet with airy elements and the focal flowers. 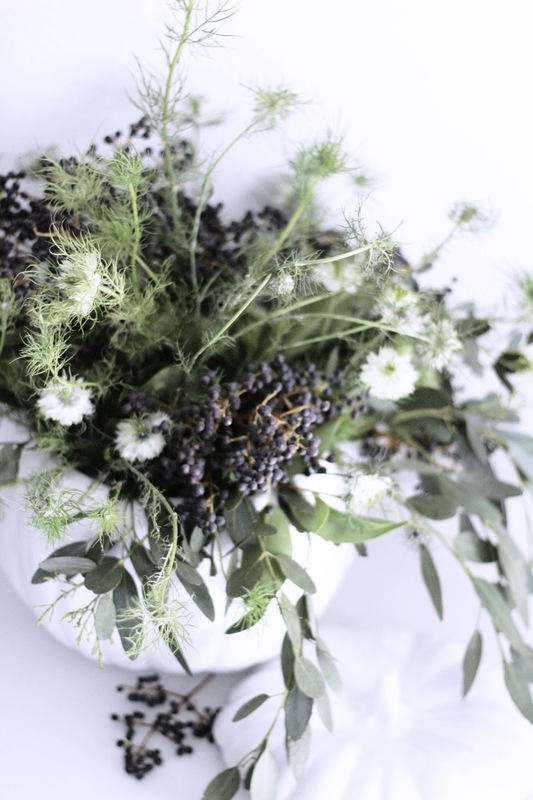 To get more tips on how to buy the flowers for your arrangement and what percentage of each of the elements you should aim for, check out my How to Shop Flower Markets post. World Market's Ivory Ceramic Pumpkin Casserole Baker (Was $20, on sale now $10).